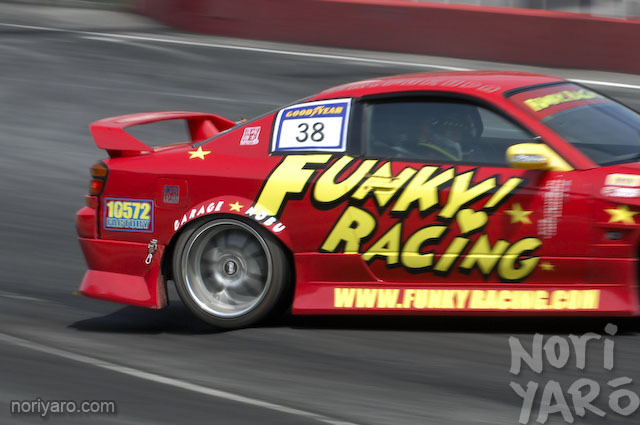 FUNKY RACING SAVED MY LIFE: Well, not really. Just a long drive. Note: I wrote this article a couple of years ago for a magazine, but it was never used for various reasons. It might be a little bit out of date, but here it is anyway. I put up some mobile phone pics of the workshop back in this post. 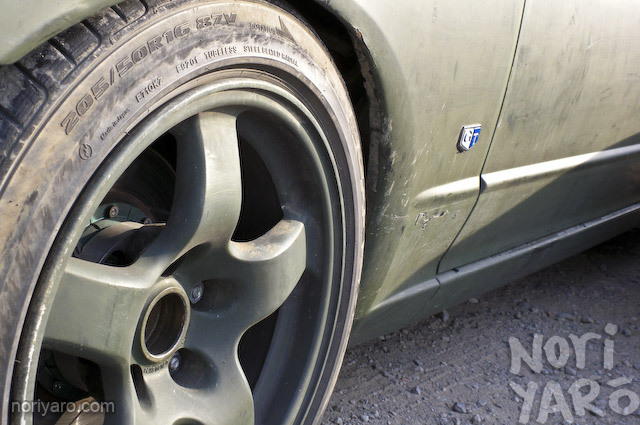 Several years ago, pictures of a flat-black S15 Silvia with a widebody kit and equally wide wheels started appearing in magazines and on the Internet. It was one of those cars that people seemed to unanimously agree looked extremely tough, even if it wasn’t to their own tastes. 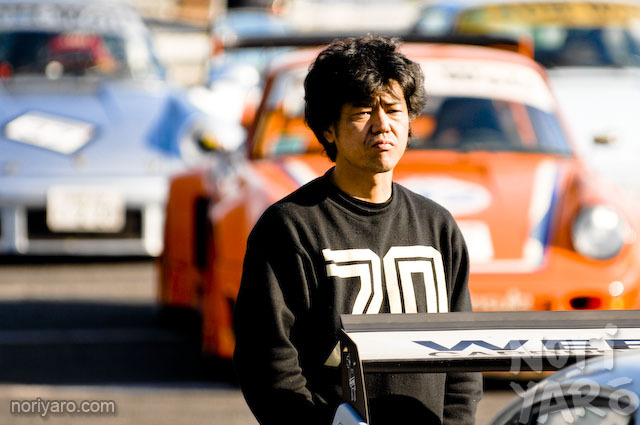 Shortly after that, pictures of an intimidating matte-black Porsche in a similar style also began to appear, and they both seemed to have something to do with a window banner that said “Rauh Welt” and a guy named Akira Nakai. “Oh, you should have just said you wanted to come to the Porsche place!” the taxi driver said cheerily as I pulled up outside the Rauh Welt workshop in suburban Chiba, about an hour away from the centre of Tokyo. I had only given him an address to find, but it turns out that Rauh Welt is pretty well known in this area. There was no shop sign outside the large corrugated concrete shed we stopped in front of, but there were telltale piles of worn race rubber and bits and pieces of Porsches strewn around. Rusted exhausts, factory wheels, discarded panels and various lengths of moulded hoses. This was definitely the right place, but the roller shutter to the workshop was still closed. I knocked on the front door, to no answer. Peering through the frosted glass of the door, I could see the low and wide silhouettes of what were definitely Porsches, and hear music playing quite loudly, but there was no sign of movement. 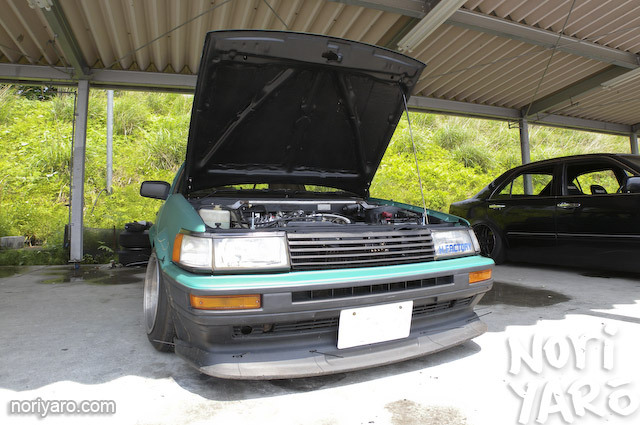 EAT YOUR SPINACH: Goto-san’s latest Levin. Remember this car? It’s back. It has the same engine, at least. 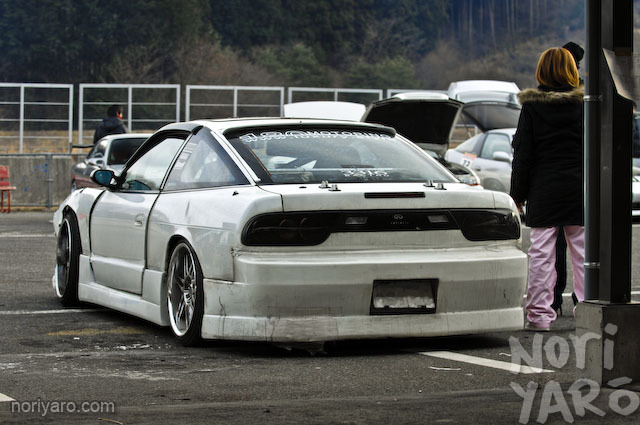 Some of you may be familiar with Jesse Streeter’s gutter-scraping S13 Silvia. 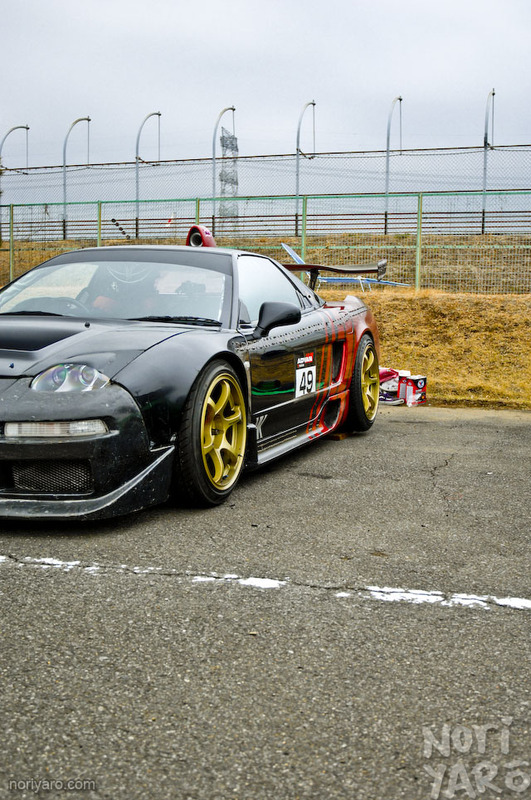 Some of you may also recall that it had an unfortunate meeting with a wall at Ebisu Circuit which left the front end geometry in what could be described as the shape of a rounded parallelogram. I should probably continue the “manly” theme for a bit, considering how long the girl-only theme went for! 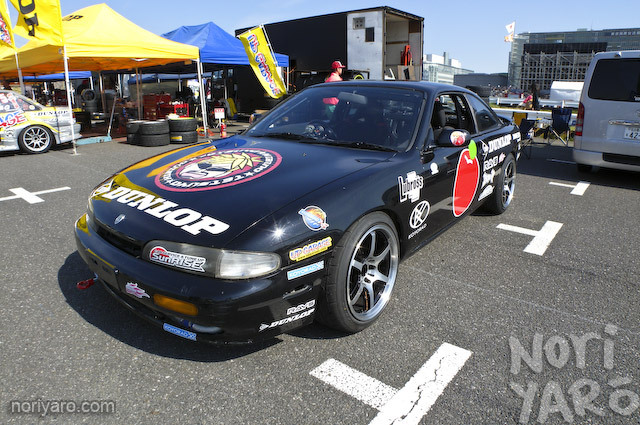 So, here’s some pics of MAX Orido’s current D1GP Supra. 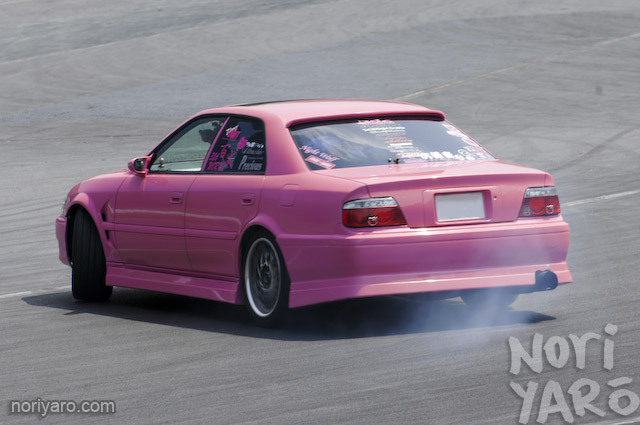 Wow, what kind of guy drives a car as pink as this? Can I officially take credit for making the word “missile” so popular in western drifting circles? I know that the term itself has been around for a long time in Japan, but a quick dated search shows it becoming popular a couple of months after I first used it back in this post. It’s been a double-edged sword though, because some people think “missile” means “smash into things”. “I hate missiles. They don’t have any meaning. It’s just playing. You can’t hit people in competitions.” thinks one D1 driver who shall remain nameless. 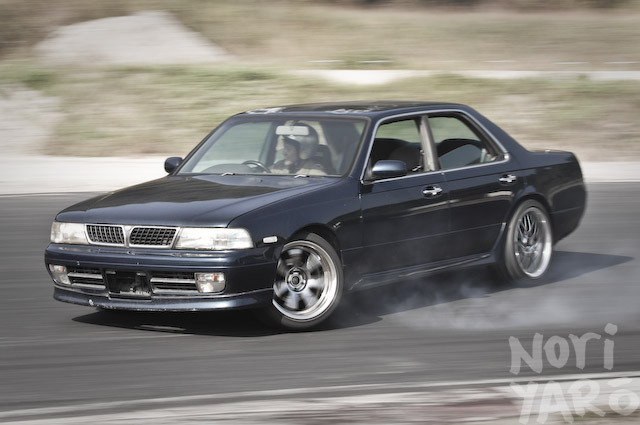 That said though, drifting is all about fun, and the funnest thing to do is drive as close as possible to other people. I’m a firm believer that smashing a car’s panels should only be done against another car. 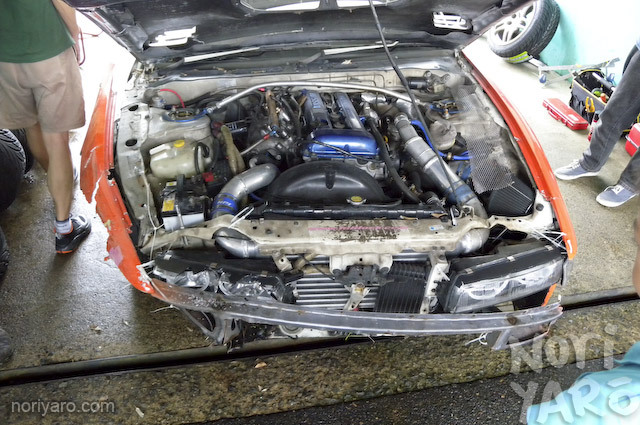 For example, take a look at Koguchi’s Laurel missile when he first took it out, now take a look at it a year and a half later. Lots and lots of light hits. For this year’s D1SL season, D1 Corporation has started a separate parallel series just for girl drifters called the “Venus Challenge”. The name might sound a bit silly, but the driving skills at the pointy end of the field are not. I’ll have more on that in another post, but when I put up some stuff about Hibino yesterday, it reminded me to put up some pics of one of the Venus Challenge drivers in particular.